In Deuteronomy 6:6 above, notice that GOD says that “these words” that GOD commands are to be in our heart. Then in Deuteronomy 6:8, GOD says we are to bind HIS WORDS as a sign upon our hand and they shall be as frontlets between our eyes. To bind on our hand means the things we do, our work should show what HE commands us. We are to have these things in our minds (our thoughts in our brain), which is between our eyes. We love HIM with our whole being and as Leviticus 19:18 shows, we are to love our neighbor as ourselves. HIS WORD is in our heart (mind). The interesting thing is that a frontlet binds to the forehead, between the eyes. That means when someone looks us in the eye, they can see “The Seal Of GOD”. It’s what comes out of us. As shown in Matthew 22, we are to love GOD with our whole being and our neighbor as ourselves. The whole WORD is contained in these two commandments. In order to love GOD with our whole being, we must not worship another god (as in satan pretending to be CHRIST). If we love our neighbor as ourselves, how can we hurt our neighbor? It would be like hurting ourselves. But to know these things, we must know HIS WORD, for the entire Bible speaks of the story of satan’s rebellion and how satan wants to put himself in GOD’S position. So, if we don’t have this Seal in our forehead (mind, or brain), how are we to know he who is the deceiver? This Sealing happens after the things described in chapter six of the Revelation, as shown in verse Revelation 7:1. It’s the Sealing of Zerubbabel, the twelve thousand from each listed tribe of Israel. They are Sealed with the TRUTH of GOD’S WORD during the hour of temptation. A Seal is a signature. It is GOD’S Seal which proclaims that GOD HIMSELF verifies these individuals. Because HE knows them and prepares them to fulfill HIS WORDS. The smoke obscurs the Light (TRUTH) due to the air being darkened as the result of the furnace (great affliction). The great affliction is strong deception, and the spirit is darkened due to the smoke (deception) that comes as a result of the affliction. As you can see, the definition of “air” as used in Revelation 9:2 is “spirit”, as in breath of life spirit. These that have The Seal Of GOD in their foreheads in Revelation 9:4 are not the same individuals as those Sealed in Revelation chapter seven. This is evident because those Sealed in Revelation chapter seven were Sealed after the events of Revelation chapter six. In Revelation chapter six, it shows that the hour of temptation has started. The hour of temptation starts at the 6th trump. These events of Revelation chapter nine are stated as occurring at the 5th trump. The difference is those of chapter seven are the twelve thousand from each of the listed tribes of Israel, whereas these in chapter nine are those that were Sealed from the foundation of the world. 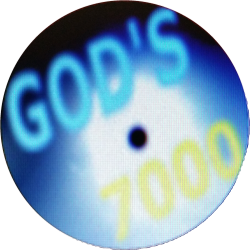 Those Sealed from the foundation of the world are GOD’S 7000. Whenever you see “one third”, or “third part” or a variation of such a statement, keep in mind that it is likely an indication that a deception is about to be revealed. This can be realized by the statement in Revelation chapter twelve where it states that the great red dragon cast one third of GOD’S children to the earth by drawing them with his tail (deception). A head shows something visibly, but a tail indicates that which is not seen, that which is done in secret or behind the scenes. GOD calls HIS children stars, and these children were deceived by satan. 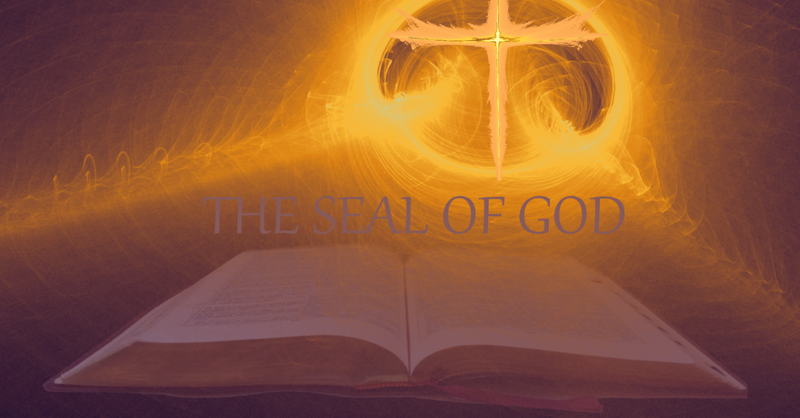 The Seal Of GOD in the hearts or minds of HIS children is GOD’S Seal of TRUTH of the knowledge of HIS WORD. It’s GOD’S Mark, Seal, or Signature in the foreheads (minds) and and hands (actions) of those that know HIM. To know HIM means we cannot be deceived by another. GOD is a consuming FIRE, and satan disguises himself as GOD in the form of JESUS. That deception is the fire, smoke and brimstone (disguise, deception, and judgment) that comes out of the mouths of those that are satan’s. In deed, to not have GOD’S Seal means to have it’s opposite, which is satan’s mark, also known as the mark of the beast (satan). Israel worshiped satan, the election did not worship satan. The election has eyes to see and ears to hear, and the rest were blinded. So, who will understand “The Mysteries Of The Kingdom Of GOD”? The answer is the election. Election means chosen. And, why are we chosen? The answer is because we did not worship satan. We first trusted in CHRIST. And when did we first trust in CHRIST? The answer is before the foundation of this world. That is in the last age. And who will not understand the mysteries? The answer is everyone but the election. And who will be deceived into worshiping satan? The election had their names written into the book of Life before the foundation of the world. That is before this age began. We did not worship satan. We first trusted in CHRIST before the foundation of the world. We have eyes to see and ears to hear. If you understand what is written in this post the implications are serious, for it is the election that has eyes to see and ears to hear. The importance of getting The Seal Of GOD into your forehead cannot be overstated. If you do not have eyes to see and ears to hear, it may be that it is not yet time for you to understand. Keep trying, because loving HIM with your whole being is a sign of election. We are election because HE has chosen us. But that does not mean that those that are not election cannot choose HIM. Many will hear the election give their testimonies. When this happens, Zerubbabel will finish “The End Time Temple Of The LORD”. And we know that one third is brought through the fire and make the first resurrection. So even if one is not election, that does not mean they cannot choose HIM by washing their robes in the Blood of CHRIST. The following happened right after the twelve thousand (Zerubbabel) from each listed tribe of Israel were Sealed in Revelation chapter seven. Zerubbabel finishes the end time Temple of wood. Wood = trees, and trees = people.